Queer Bar presents: Mx. 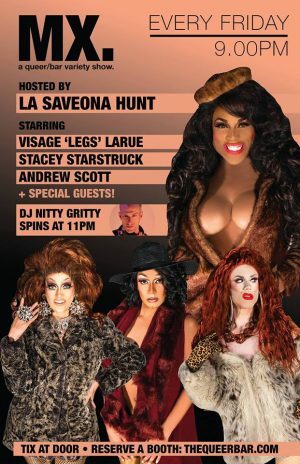 A Queer/Bar Drag Show, hosted by La Saveona Hunt, starring Stacey Starstruck and Visage LaRue // Local guest spots rotate weekly // special guest appearances from Ru Paul’s Drag Race contestants every month// Show starts at 9.30pm // cover is $10 – which goes to support your Mx. cast & crew // After the show cover drops to $5 and the dance party begins!! 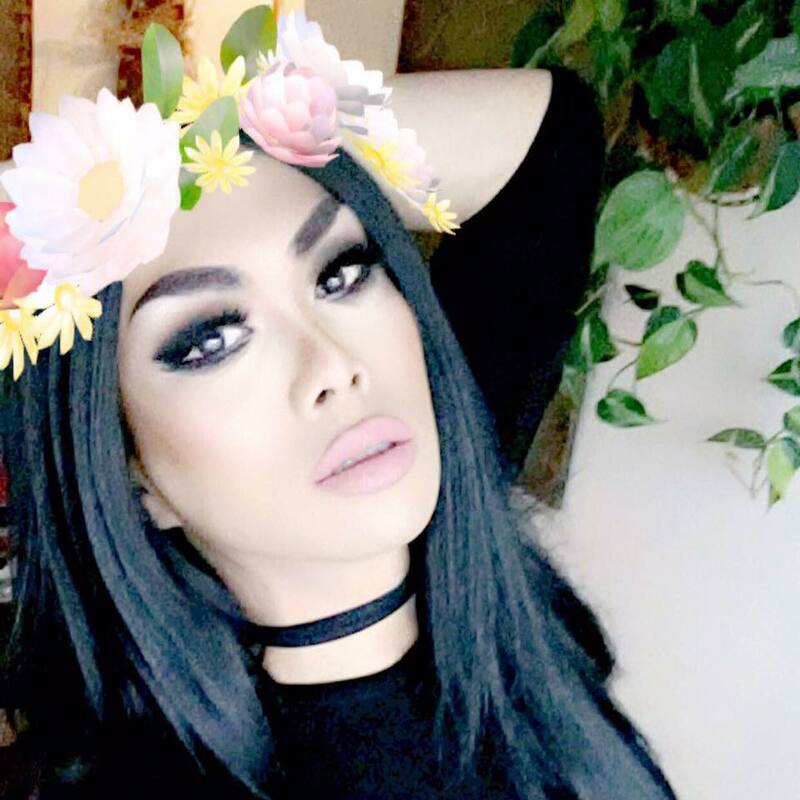 Stay & dance with the queens while our DJ spins all your favorite tracks!